Auditory neuropathy/auditory dyssynchrony (AN/AD) is a condition that affects the neural processing of auditory stimuli. Patients with this disorder are able to respond to sounds appropriately, but their ability to decode speech and language is hindered. AN/AD has only recently been described. In the late 1970s, clinical investigators began to describe groups of patients with normal or slightly elevated audiogram pure tone thresholds accompanied with absent or severely abnormal auditory brainstem responses (ABRs). With the advent of the otoacoustic emissions (OAEs) in the mid 1980s, these groups of patients were found to have normal cochlear function. The finding of normal cochlear function accompanied with abnormal brainstem responses was defined in 1996 as auditory neuropathy (AN). Whether this represents a true auditory nerve neuropathy is debatable. Further investigations led to the conclusion that AN may truly represent a dyssynchronous auditory nerve rather than a neuropathy. This finding gave rise to the newer term of auditory dyssynchrony (AD). For the purposes of this summary, AN and AD are considered synonymous (ie, AN/AD). In addition, AN/AD has been reported in association with viral diseases, seizure disorders, and high fever. AN/AD can occur with or without accompanying neurologic disorders. Friedrich ataxia, Stevens-Johnson syndrome, Ehlers-Danlos syndrome, and Charcot-Marie-Tooth syndrome are all disorders with peripheral neuropathies that have been associated with AN/AD. Although a complicated perinatal history is common among most patients with AN/AD, one third of patients have no predisposing factors that led to the development of AN/AD. Current research is aimed at the development of animal models to help decipher the exact etiology of AN/AD. Several attempts have been made to replicate the electrophysiologic findings of normal OAEs and abnormal ABRs in an animal model for AN. The first was a chinchilla model that used carboplatin ototoxicity. In this model, intravenous carboplatin treatment produces a selective, although variable, loss of inner hair cells. This animal model displayed the electrophysiologic correlate of normal OAEs and cochlear microphonics (CMs) but elevated thresholds of the ABRs. However, the magnitude of inner hair cell loss (>50% at the apex of the cochlea and a higher percentage at the base) in this animal model indicates that if inner hair cell loss due to cochlear hypoxia were a significant factor in accounting for the paradoxical finding of normal OAEs and absent or abnormal ABRs, pure tone thresholds would be considerably more elevated than is consistent with the normal-to-moderate hearing loss characteristic of most patients with AN. In another model, chronic infusion of ouabain to the round window of gerbils has also shown some physiological similarities to the findings associated with AN/AD and has the potential to be an animal model for AN/AD. This animal model shows the direct destruction of the spiral ganglion cells and produces the same constellation of symptoms found in humans with AN/AD. Although the diagnostic testing results were similar to those found in patients with AN/AD, the destruction of spiral ganglion cells may not be representative of the true pathology of AN/AD. Another emerging animal model is the Gunn rat. This mutant of the Wistar rat is a well-known animal model for hyperbilirubinemia. Early studies have shown preservation of the CMs with severely abnormal ABRs. Immunohistochemical brainstem studies have shown a reduction in the synaptic inputs to the lower auditory brainstem nuclei, which receive inputs from the spiral ganglion cells. Preliminary results involving the auditory nerve of these hyperbilirubinemic animals demonstrate a selective loss of the large-caliber axons in the auditory nerve with complete preservation of the outer hair cells. The low threshold of activation and high spontaneous discharge rate of large-diameter axons that innervate inner hair cells in the cochlea are the electrophysiologic properties ideally suited for the temporal coding of auditory information, particularly as it relates to neural synchrony and temporally dependent auditory events, such as speech comprehension. Because hyperbilirubinemia has a direct association with AN/AD, this animal model, if proven, will have significant potential in helping investigators pinpoint the pathophysiology of AN/AD. The exact frequency of auditory neuropathy/auditory dyssynchrony (AN/AD) has varied among different publications. Although the prevalence among all children is extremely low, when children with known hearing loss are examined, the rate increases dramatically. Some authors have suggested that the prevalence is 2-15% of children with known hearing loss. In a 2002 review of the prevalence, Sininger suggested that approximately 1 in 10 children with hearing loss and severely affected ABR test results have AN/AD. Overall, AN/AD is rare and can be found in an estimated 1-3 children per 10,000 births. Most patients with AN/AD have other significant perinatal risk factors. However, one third of the patients have no definable etiologic cause. Auditory neuropathy/auditory dyssynchrony (AN/AD) has no racial bias. Auditory neuropathy/auditory dyssynchrony (AN/AD) occurs with near-equal frequency in males (55%) and females (45%). Although the insults that cause auditory neuropathy/auditory dyssynchrony (AN/AD) are thought to arise in the perinatal period, this disorder can also be diagnosed in adults. Because AN/AD is a relatively newly described condition, many adults may have not obtained the proper audiologic testing to reach a diagnosis of AN/AD. With the advent of newborn hearing screening tests, the delay in diagnosis of AN/AD should be minimized, which will expedite intervention. Berlin CI, Hood L, Rose K. On renaming auditory neuropathy as auditory dys-synchrony. Auditory Today. 2002. 13:15-17. Nikolopoulos TP. Auditory dyssynchrony or auditory neuropathy: understanding the pathophysiology and exploring methods of treatment. Int J Pediatr Otorhinolaryngol. 2014 Feb. 78(2):171-3. [Medline]. Kitao K, Mutai H, Namba K, et al. 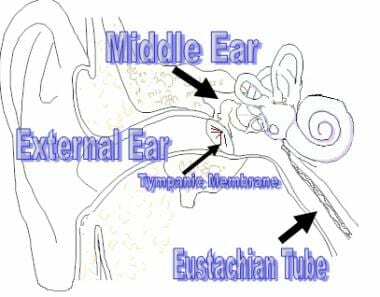 Deterioration in Distortion Product Otoacoustic Emissions in Auditory Neuropathy Patients With Distinct Clinical and Genetic Backgrounds. Ear Hear. 2018 Apr 23. [Medline]. Apeksha K, Kumar UA. Cortical processing of speech in individuals with auditory neuropathy spectrum disorder. Eur Arch Otorhinolaryngol. 2018 Apr 9. [Medline]. Berlin CI, Hood LJ, Morlet T, Wilensky D, Li L, Mattingly KR, et al. Multi-site diagnosis and management of 260 patients with auditory neuropathy/dys-synchrony (auditory neuropathy spectrum disorder). Int J Audiol. 2010 Jan. 49(1):30-43. [Medline]. Roche JP, Huang BY, Castillo M, Bassim MK, Adunka OF, Buchman CA. Imaging characteristics of children with auditory neuropathy spectrum disorder. Otol Neurotol. 2010 Jul. 31(5):780-8. [Medline]. Mo L, Yan F, Liu H, Han D, Zhang L. Audiological results in a group of children with auditory neuropathy spectrum disorder. ORL J Otorhinolaryngol Relat Spec. 2010. 72(2):75-9. [Medline]. Hood LJ. Auditory Neuropathy/Dys-Synchrony Disorder: Diagnosis and Management. Otolaryngol Clin North Am. 2015 Dec. 48 (6):1027-40. [Medline]. Fernandes NF, Morettin M, Yamaguti EH, Costa OA, Bevilacqua MC. Performance of hearing skills in children with auditory neuropathy spectrum disorder using cochlear implant: a systematic review. Braz J Otorhinolaryngol. 2015 Jan-Feb. 81 (1):85-96. [Medline]. Liu Y, Dong R, Li Y, et al. Effect of age at cochlear implantation on auditory and speech development of children with auditory neuropathy spectrum disorder. Auris Nasus Larynx. 2014 Dec. 41 (6):502-6. [Medline]. Teagle HF, Roush PA, Woodard JS, Hatch DR, Zdanski CJ, Buss E, et al. Cochlear implantation in children with auditory neuropathy spectrum disorder. Ear Hear. 2010 Jun. 31(3):325-35. [Medline].